Lee Kernaghan has announced the final dates for 2018 on his massive 25th anniversary Boys From The Bush tour. With a string of dates in November and December, Lee brings to a close an incredible almost two-years celebrating his seminal Outback Club album. It’s hard to believe this enigmatic country musician has been out on the road for more than 25 years. 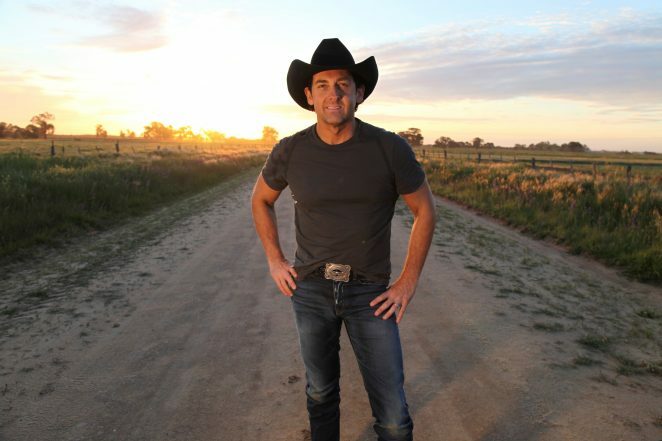 For fans of his music, it is no surprise Lee Kernaghan just keeps getting better and better. He is always working on new material, tours rigorously and puts incredible energy into each show. When Lee announced his 25th Anniversary Tour last year, the plan was to kick off at the Tamworth Country Music Festival in January and tour the country until the end of 2017. The tour was massive, selling out date after date, and the audience feedback was overwhelming – they wanted more! It sold out an incredible 29 out of 32 shows – a fitting result for a 25th anniversary – and culminated in two huge concerts at The Palms at Crown in Melbourne in November. At the end of the tour, the demand was clear – the tour needed to be extended, reaching out to areas that missed out in 2017. When Lee announced the Boys From The Bush tour was rolling into 2018, tickets immediately started to fly out the door, and the shows so far in 2018 have followed suit – selling out to audiences around the country. The Boys From The Bush tour features Lee’s classic hits, ballads and rural anthems that have won the country legend a nationwide legion of fans that he prefers to call ‘mates’. With 38 number one hits to his credit, the show celebrates Lee’s career, and even more than that – it celebrates the fans who have been there from the beginning – and those who have joined in along the way. Lee Kernaghan’s Boys From The Bush 25th Anniversary Tour is an unforgettable experience and a part of Australian music history! Book your tickets early and join the celebration of the epic career of one of this country’s all-time greats. Tickets to the final 2018 tour dates on the Boys From the Bush – 25th Anniversary Tour are on sale now.